If you are looking for a worthwhile facial Andover, MA and surrounding area residents can make the quick trip to Embody Medspa. We are your local experts when it comes to looking and feeling great. 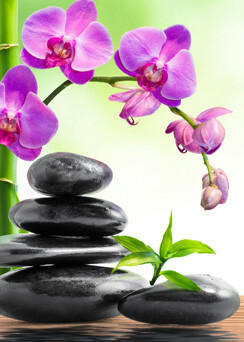 We specialize in all things regarding skin care, cosmetics, and wellness. If you want to live a more beautiful, healthy lifestyle, do not hesitate to pay us a visit. At Embody Medspa, we are experts at providing corrective facials for Andover, MA residents. Our team of professionals is always hard at work making sure that we are providing the best skincare options for our valued patients. If you are looking for treatment for your face, look no further than the quality service that we provide. Visit us at 315 Main Street, Suite 201 in North Reading, and we can address your needs to make sure that you receive all the proper care. When you are having issues with your face, we recommend an Embody Medspa corrective facial. Andover, MA locals can rely on our top quality treatments to remedy their skincare problems. Our corrective facials can help cleanse and heal the skin on your face, all while preventing against a wide variety of unwanted skin conditions. When you visit us, you are our main priority. No matter what kind of treatment you are after, we are sure to offer one of the best options around. There is a reason why Andover, MA considers us one of the top wellness and skincare destinations in the area. We genuinely care about all of our patients, and it is our goal to make sure that they are always in good hands. Visit Embody Medspa today to experience our renowned skincare services, including our facials. Our team of skincare veterans is here to answer any questions that you may have. Call us today at (978) 207-0345, or reach us through our online contact form. We are always happy to help local residents achieve their best image and health. For more great skincare and wellness information, take a look at our blog. Remember, when it comes to skin care services like a top quality facial, Andover, MA residents are wise to choose Embody Medspa.